It became good tradition in Turkmenistan to give name to every year declaring the key targets o national development at new stage in its slogan. It support the improvement of patriotic spirit and desire of every human to be involved and make personal input to colossal work carried out in the country under the leadership of President Gurbanguly Berdimuhamedov. Ideological message of 2019 was the free will of the nation and is aimed at wide popularization of the achievements of our Motherland, reveal of their importance, giving the impulse to large-scale economic changes and social progress as well as at the propaganda of the input of our country to provision of peace and stability, international initiatives of Turkmen leader. 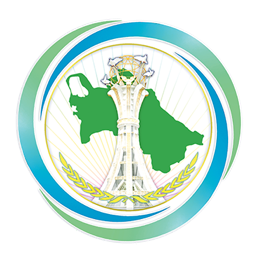 The content of the main slogan contains also the idea of the solidarity of people, succession of the generations and upbringing of youth in the spirit of limitless pride, love and respect of independent neutral Turkmenistan. The event in the Mukams Palace was held with the participation of the members of the Government, heads of different ministries and departments, directors of universities, cultural personnel and art masters, mass media and public organizations. Expressing the gratitude to the Head of the State for huge role in restoration of historical assignment of the country and growth of its authority in the world arena, the participants of the ceremony highlighted that the Year “Turkmenistan – Home of Prosperity”, undoubtedly, will be marked with new glorious achievements and great deeds. It was mentioned that cohesive unity of the nation, consolidation of people around its national leader, which is based on understanding of the values of independence and neutrality, spiritual traditions and cultural heritage, is the main feature of modern Turkmen society. these are the combination of historical heritage of the nation, its mentality, fundamental moral categories with general civilization achievements and advanced processes, which is the key to success and prosperity of Turkmen state. Today, our independent neutral Motherland is among the countries providing stability and security in the region. Turkmenistan is famous in the world as competent state with dynamically developing economy and attractive for the investments. Huge investments are drawn to the economy of the state, foreign trade growth steadily. Every year, salary wages are stably increased. High development rates are achieved in construction, industry and other branches. According to the programmes initiated by President Gurbanguly Berdimuhamedov, the works for industrialization and change of the country to digital economy are carried out with high rates, reforms of education, health protection, science and other spheres are continued. Measures taken for reformation of the agriculture give positive results, good yields of wheat and cotton are produced. construction of big plants and factories is successfully continued. Oil and gas deposits are developed under the reforms, main pipelines are built. Comfortable residential houses, schools, high-class hotels and other social facilities are built and put into operation. In the result of all these works, high growth rates of the GDP are preserved. Our country is distinguished with stability and firmness of political system, staged introduction of democratic principles to the life of the state and society. It provides the country with reliable positions in the world arena and equal relations with all states of the world. The slogan of 2019 is closely connected to humanistic principles “State for Human Being!” and “Peace through Development”, which make the base for home and foreign policy of the President of the country as prosperity is logical outcomes of social and economic advancement, peace-making diplomacy and equal international cooperation. Therefore, the emblem of this year bear the image of the Abadanchylyk Monument and olive branch as symbols of prosperity and peace-loving of our country, which moves to new heights. Large-scale plans and objectives for further improvement of national economy, development of science, education, health protection and social system are outlined for 2019. All of these are aimed at the improvement of the wealth level of Turkmen people and quality of life. The Head of the State not just gives the vectors of further big joint work but also mobilize artistic and creative resources of the society by personal example. Steadfast development of the country as powerful, self-sustained state will be mainly stipulated not only by the economy but also by its spiritual and moral potential, intellectual and human capital, physical and social health of the nation. This concept of the President of the country reflects the system of coordinates of our growth, based on which all middle and long-term state programmes are built. The goal of these programmes is to turn Turkmenistan into the country where prosperity and highlife quality of the citizens are provided by innovative economy, latest technologies, export of competitive production and developed social infrastructure, President Gurbanguly Berdimuhamedov says. We have significant potential for achievement of this goal. Just in the last year, which was held under slogan “Turkmenistan – the Heart of the Great Silk Road”, powerful industrial, transport and energy facilities have been put into operation. It includes Turkmenbashy International Seaport, which has strategic importance for Central Asian and Caspian region countries. Completion of this major project brought the cooperation between the states of the region to new level and strengthened the position of Turkmenistan as important centre of transit cargo traffic. In addition, «Türkmen aýna önümleri» glass production facility, which already expands the geography of overseas supplies, has been opened in Ahal Velayat. Opening of petrochemical plant for production of polypropylene and polyethylene in Kiyanly, carbamide plant in Garabogaz became historical event for Turkmen economy. Serhetabat – Turgundy railway, Turkmenabat International Airport, first combined cycle power station of the territory of Mary State Power Station have been opened last year as well. Construction of another part of Turkmenistan – Afghanistan – Pakistan – India gas pipeline, Turkmenistan – Afghanistan – Pakistan power and fibre optic lines has been launched last year. President Gurbanguly Berdimuhamedov and high-rank guests from the countries participating in the project took part in the ceremony. Avaza sanatorium and Aquapark with the same name have also been opened. It supplemented resort infrastructure of Natioanl tourist zone on Caspian coast. New profile hospitals, social and living, medical, cultural facilities, millions of square meters of living, etc. have been put into operation. Rapid development of industrial infrastructure, creation of new production facilities allow our country keeping stable dynamics of macroeconomic indicators. However, our achievements cant not be measures by figures as they are expressed not only by the facts but also are embodied in the spirit of new time, its creative intent and rhythms of grandiose changes, resolution to achieve new heights and conquer new levels. … Development of Turkmensitan is often compared with the speed of ahalteke horse, which became a living image that unites and inspires with national idea. Therefore, it is symbolically that another representative of glorious breed of Turkmen horses, the foal, which was named with beautiful name Rovach, meaning the Prosperity, by Turkmen leader, was born on the first day of New Year. It means that we will have many bright achievements and great victories ahead!